Fabrisonic recently partnered with ORNL to 3D print an ‘impossible’ microchannel heat exchanger in aluminum, as posted this week on the Oak Ridge National Lab website. ORNL was performing fundamental research on how phase changes occur from liquid to gas state. In order to take measurements without affecting the phenomenon, Oak Ridge planned to use their Spallation Neutron Source to take highly accurate measurements. However, they needed to make a pressure vessel with precise internal passages on the scale of .010”. Traditional machining technologies cannot make complex internal channels in solid metal at that scale. With Fabrionic’s SonicLayer 7200, we were able to print a few layers of aerospace aluminum and then use the integrated CNC milling capability to machine the varying channel shapes at every layer. 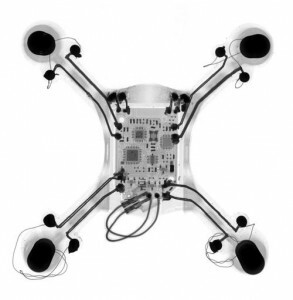 Fabrisonic recently came across a cool new 3D printing startup, Voxel8. At Voxel8 their key development has been a new silver paste that can easily be extruded, and when cured has great conductivity. By combining the paste with an FDM head they are able to print plastic parts with embedded wiring. 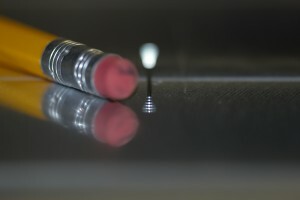 Fabrisonic often works with embedding electronic devices in solid metal parts. Because our metal 3D printing process happens at low temperature, we can print solid metal around an electronic sensor without damaging the delicate electronics. However, we are always fiddling with manual inserting wiring into a build. Someday we hope to integrate a Voxel8 print head into our SonicLayer printers so that we can print wires on the fly inside solid metal. Good luck to Voxel8, they have a cool take on 3D printing. Plant Services February 2015 issue has a great write up on the uses of metal 3D printing for maintenance. In the editors corner, Fabrisonic’s President talks about machine sales to maintenance facilities. Right now the capital costs of metal 3D printers is high enough that owning a machine solely for plant services probably doesn’t make sense. However, there are numerous service bureaus around the country that can build parts for maintenance and repair. Later in the article “Maker’s Mark”, Thomas Wilk gives a good overview of existing technologies and how they can be used today to help maintenance and repair operations. As described in the article, Fabrisonic usually gets involved with repair parts when the tooling for existing parts no longer exists. If the parts can be made by traditional CNC machining, 3D printing often isn’t the right answer. 1) Printing heat exchangers that have both aluminum and copper in one part. 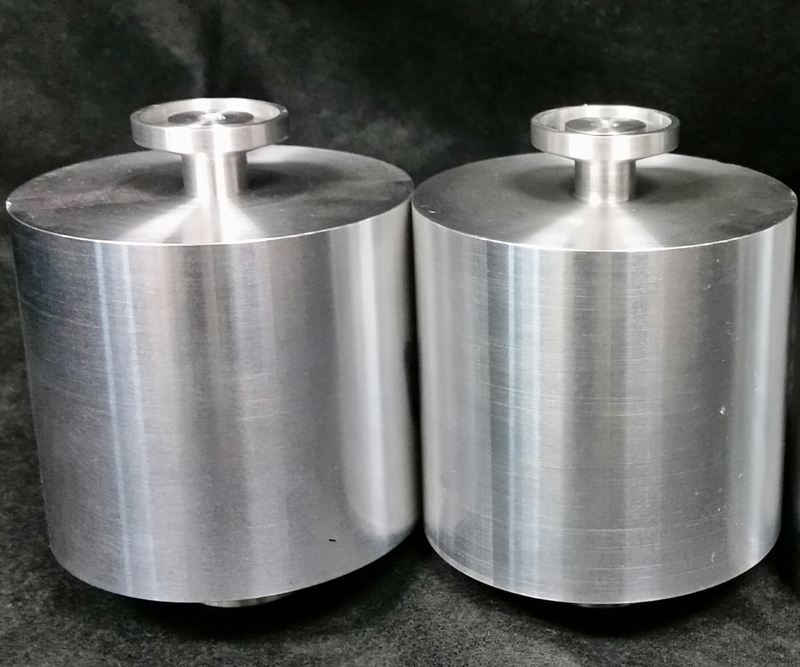 These heat exchangers can have complex internal passages that are impossible with traditional machining. 2) The ability to build complex internal passages with high accuracy and surface finish also lends itself well to building wave guides for radio frequency (RF) applications. The distinguishing feature of Fabrisonic’s Ultrasonic Additive Manufacturing (UAM) process is that it is solid state, meaning the metal never melts. In fact in aluminum’s the peak temperatures are around 200 degrees F. Thus, using UAM to 3D print metals allows multiple metals to be used without worry about intermetallics common in fusion based joining of dissimilar metals. At Fabrisonic we are currently spending a lot of time and effort working with heat exchangers. UAM’s ability to 3D Print heat exchangers is covered in this months issue of JOM, the member journal of The Minerals, Metals and Materials Society. As described in the article, recent studies have shown the ability of UAM to make internal channels that have burst pressures in excess of 3000 PSI for aluminum and in excess of 4000 PSI for copper. Similarly the high vacuum tests with helium indicate that channels can be built that are 100% hermetic. Complex three dimensional fluid pathways, that are not achievable with traditional machining, have also been demonstrated with several customers. 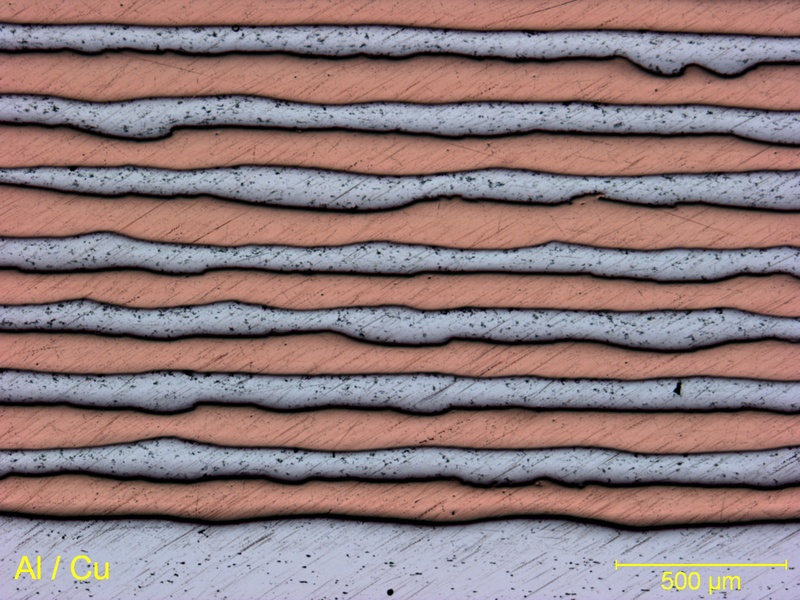 The solid-state nature of Fabrisonic’s welding process, allows UAM to readily bond aluminums and coppers. Additionally all SonicLayer machines are based off of traditional 3-Axis CNC mills. Thus, the welding process can be stopped at any point and three dimensional channels can be machined. 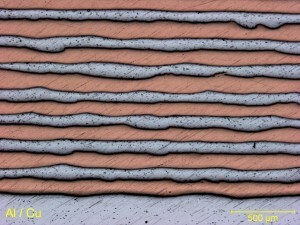 Subsequently, the additive process continues to build up metal sealing in complex 3D flow paths. Below are some examples of channels built for 3D printed heat exchangers.